For a long time, whenever I was spotted using Google Maps to navigate Londons public transport network a friend would look over and prod: Oh, dont you use Citymapper? Eventually, I relented. Comprehensive, easy to use and also playful, Citymapper offers more detailed journey planner information than Google, including real-time departures and disruption alerts, as well as Uber integration and cycle routes. It is available in around 30 cities worldwide, with all the obvious city-break destinations covered. It even tells you how long your journey will take by jetpack useless information really, but hopefully something to cheer you up when your train is cancelled. Over 70 million people have registered with Duolingo, a free and incredibly well-designed language learning app. Though not a replacement for proper language tuition, the app is a fun way to get the basics, or to keep yourself fresh on grammar and vocabulary, before a trip abroad. Just like a computer game, the app guides you through levels that you need to complete before advancing, and you gain experience points along the way. XE is the go-to site for currency conversions on the web, so its no surprise that its app is so popular: with over 20 million downloads since launch. It has lots of business-oriented features, such as rates for precious metals and historic currency charts, but for the traveller it is most useful for the simple fact that its able to convert every world currency. It also functions offline by saving the last updated rates, which is great if youre in a place with limited connectivity or trying to save on data. 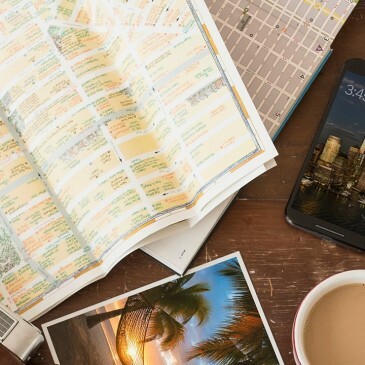 A bit like a pocket travel agent, Tripit pulls together travel information from your confirmation emails for flights, hotels, rental cars, events bookings and converts it into a single itinerary. Just forward your emails to the app and it will do the rest. If youre travelling with others you can easily share the plans, making this a useful app for coordinating a group trip. There is a selection of apps out there to help you split bills (Tipulator, Splitwise etc), but Splittr is geared up for travelling, providing a simple platform to share costs between friends. You can enter expenses as you go, including who paid what and the app will do the rest. A nice touch for longer, multi-destination trips is that all currencies are supported and you can mix currencies without having to do the conversion yourself. Not exactly slick by name, though certainly slick by nature, App in the Air is a smart, straightforward, flight tracking app that has the best coverage of airlines and airports. It will keep you updated about flight status even if you dont have internet coverage and helps you manage your time at the airport, breaking down each flight into four stages; check in, boarding, takeoff and landing time. It also integrates with Tripit (above) allowing you to import all your flights. This translator can be a useful tool to support your own, more serious language learning, but realistically, its most useful on a practical level quickly translating day-to-day words you come across on your travels. For example, you can hold your camera up to text such as a sign, or a menu and Google will translate it for you instantly. Its an essential app for any traveller. This ambitious app creates a digital journal of your travels so you can look back on your trips on an interactive map. The app tracks you as you go, marking a red line along a map on the exact route you take; the app also monitors your speed and altitude, making it great for adventure travellers, though its just as fun to look back at your route around a city. You can add pictures, video, audio and text along the way, creating a multimedia travel diary you can share. There are a few apps out there that help you manage your time in the sun safely, but this one offers the most detailed information to keep you informed. You enter your skin type and it calculates how long you can spend sunning yourself before getting burned, based on the time of day, where you are and the strength of sun cream youre wearing. It also provides UV forecasts for your location. When youre done browsing Guardian Travel, of course, the Time Out app is a great directory of ideas of things to do in cities around the world. With coverage from Accra to Amsterdam, Edinburgh to Singapore, the app covers everything from bars, restaurants, attractions and events. The event finder is a particularly useful tool, meaning youll never struggle to find the most popular concerts, festivals or one-off happenings going on around you. You can also book restaurants and concert tickets through the app and create a customised travel guide for your holiday.